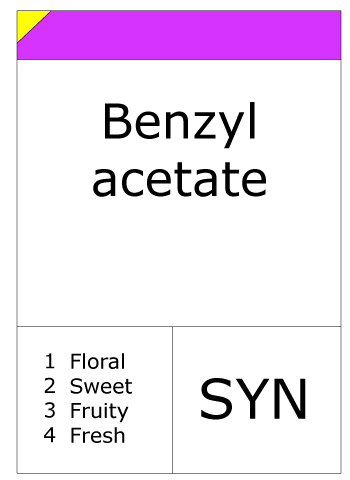 Benzyl acetate is found naturally in many flowers. It is the primary constituent of the essential oils from jasmine and ylang-ylang. It has pleasant sweet aroma reminiscent of jasmine. It is used widely in perfumery and cosmetics for its aroma and in flavorings to impart apple and pear flavors.